Whether it's because the layout of your apartment necessitates stashing your router in an inconvenient corner or because your cavernous mansion is just too large to adequately cover with a single wireless access point, there are few modern inconveniences as annoying as spotty Wi-Fi. 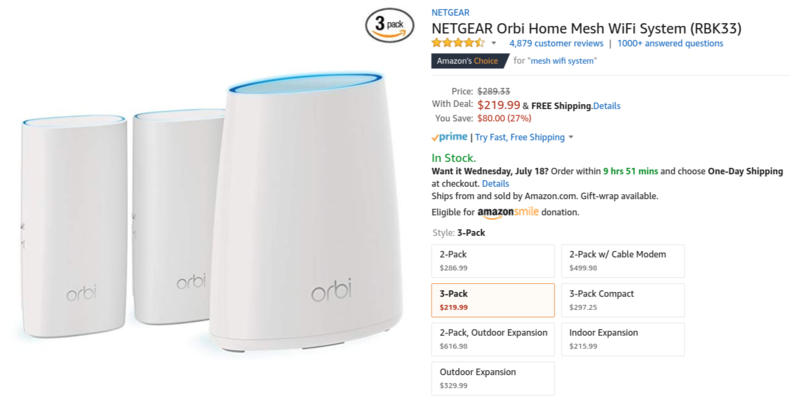 Here's a way to remedy that situation on the (relative) cheap: Amazon's got a three-pack of Netgear Orbi mesh Wi-Fi routers for $219.99. Having a single router in your home is so 2015. Everyone is doing this mesh router thing now, which means you have two or more access points in order to provide better coverage. 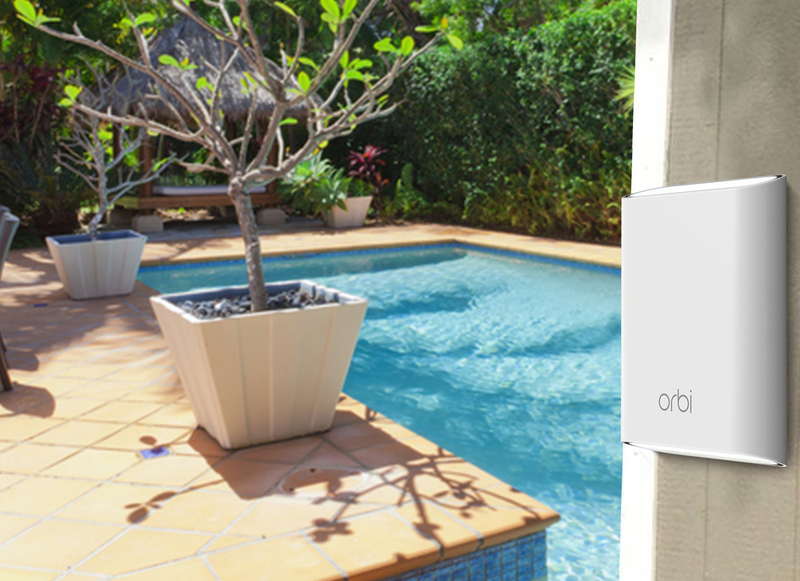 Netgear is looking to take its mesh router beyond the confines of your indoor space with the new Orbi outdoor satellite. While it's not supposed to be "official" until CES next week, Netgear has made all the details available. Mesh Wi-Fi networks are pretty great. 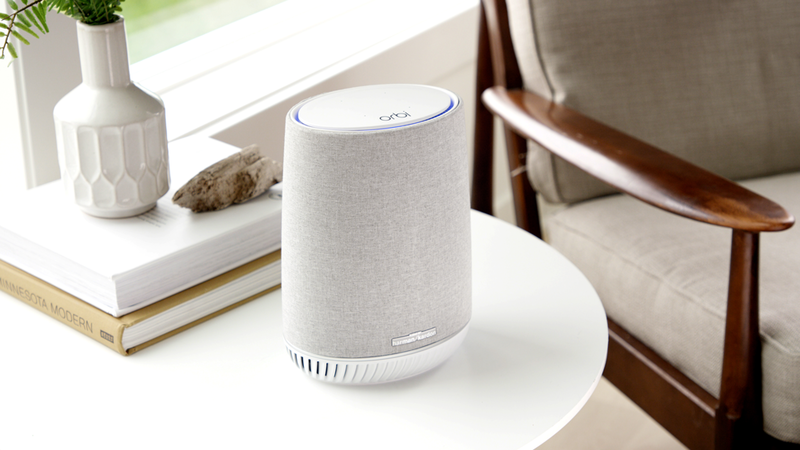 You don't have to worry about where your primary router is placed, and you don't have to create two (or more) Wi-Fi networks to cover your home. 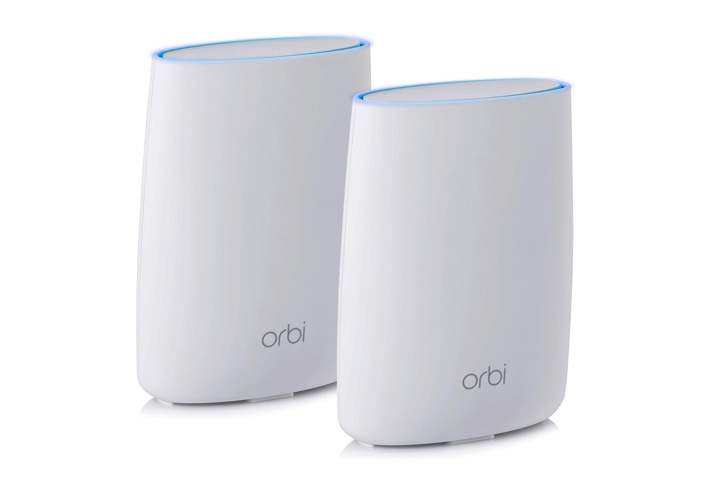 Google Wi-Fi and Ubiquiti are probably the best-known in this field, but Netgear's Orbi is fairly popular as well. Now you can get the AC3000 mesh router with one 'satellite' station (RBK50) for $279.99 - a $120 saving over the MSRP.